In this fun quiz game you choose your questions! Select your favourite topics to ensure you score more. 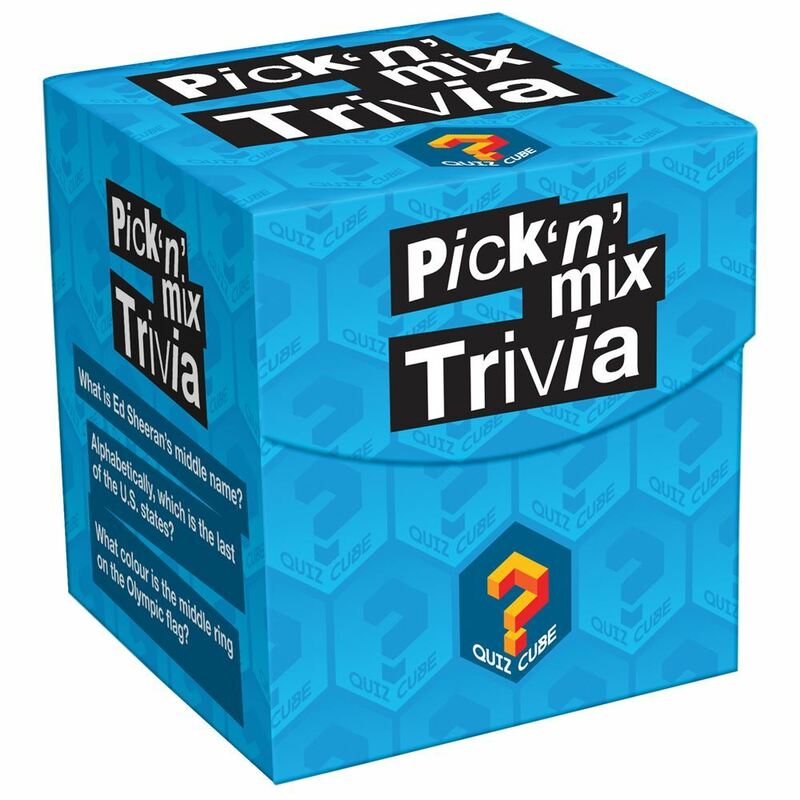 It's the trivia challenge where you make up your own mix! What is Ed Sherran's middle name? Alphabetically, which is the last of the U.S. states? What colour is the middle ring on the Olympic flag? 360 fun trivia questions on TV, Film, Sport, People, Places, History and Music. Age 14 + years. 3+ Players or teams. Distributed in New Zealand by Holdson.